Mashery I/O Docs is an interactive API exploration and testing tool that runs on your Developer Portal. It enables your developer partners to perform API calls directly within the documentation using their own API keys with described form-based parameter inputs fields and easy-to-read color-coded and formatted payload outputs. A couple months ago, Mashery launched a limited release of I/O Docs on several developer portals. I/O Docs is based on a culmination of reviewing data usage patterns and feedback collected across hundreds of developers who have been getting started and building applications using the product. We demonstrated early-stage versions at developer outreach events and hackathons for several months before the official product release. We are happy to announce that I/O Docs can now be enabled and configured within the Administration Dashboard. 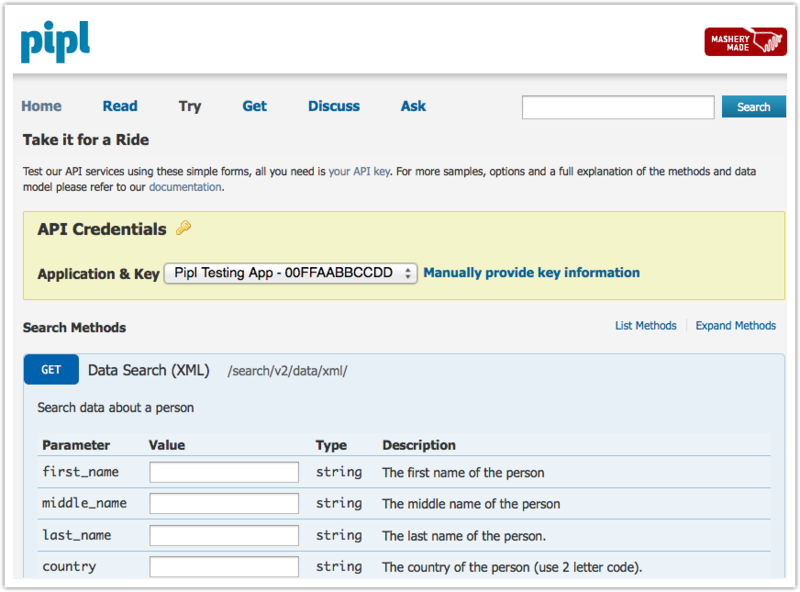 The current release version supports RESTful APIs with either XML or JSON output and most API key authentication schemes. Our product and engineering teams are continuing to iterate and improve I/O Docs to include support for additional protocols and auth schemes. For some forward-thinking APIs looking to embrace the interactive API docs trend we see companies such as Google, YQL, Klout, and Posterous. I/O Docs may serve as a full-on replacement for traditional long-form documentation. However, it can also serve as a useful testing tool and debugger to regular long-form style documentation, especially in cases where APIs have more advanced authentication and request methods. For full documentation on enablement and configuration, please contact your client solutions manager.